And there were always choices to make. Every day, every hour, offered the opportunity to make a decision which determined whether you would or would not submit to those powers which threatened to rob you of your very self, your inner freedom; which determined whether or not you would become the plaything of circumstance, renouncing freedom and dignity to become molded into the form of the typical inmate. A thought transfixed me: for the first time in my life I saw the truth as it is set into song by so many poets, proclaimed as the final wisdom by so many thinkers. The truth—that love is the ultimate and the highest goal to which man can aspire. Then I grasped the meaning of the greatest secret that human poetry and human thought and belief have to impart: The salvation of man is through love and in love. I understood how a man who has nothing left in this world still may know bliss, be it only for a brief moment, in the contemplation of his beloved. All words from Man’s Search For Meaning by Viktor Frankl, author, psychiatrist, Auschwitz survivor. 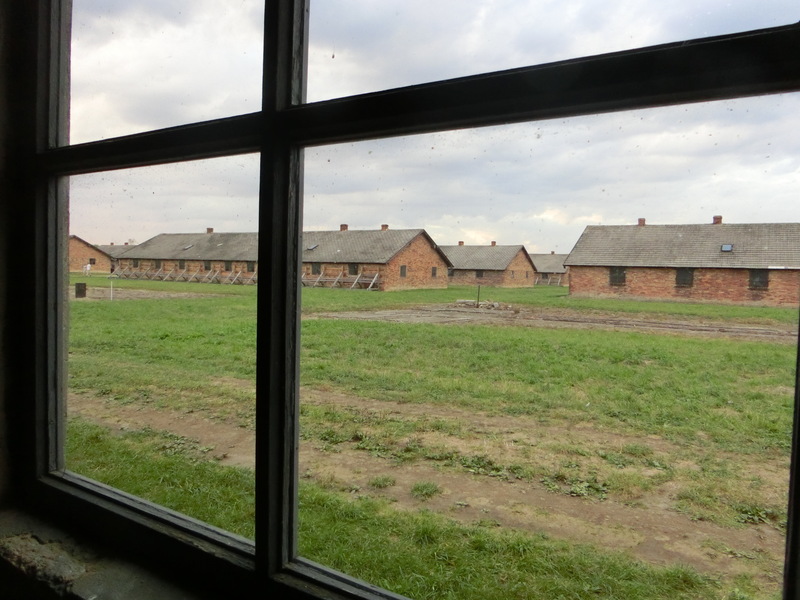 This entry was posted in Poland and tagged Auschwitz, Auschwitz-Birkenau, concentration camp, Man's Search For Meaning, Poland, travel Poland, Viktor Frankl, world war II. Bookmark the permalink.